Some of the shininess of these forecasts depends on a mistake about the well-being of people who live at different times from us. When determining how happy people were in the past or will be in a technologically enhanced future we imaginatively project ourselves into their times. We expect that we would feel miserable if sent on a one-way time travel trip back to the 13th century and therefore suppose that that misery must have been experienced by the people who lived then. We imagine that we would be ecstatic to wake up and find ourselves surrounded by the technologies depicted in Star Trek and so conclude that people fortunate enough to live then must experience very high subjective well-being. These imaginative exercises mislead us about the effects of technological progress on well-being by ignoring a feature of human psychology I call hedonic normalization. Differences in normalization make people today very different from people of the 13th or 23rd centuries. Humans have flexible psychologies that enable us to flourish in environments ranging from the Arctic to the Kalahari Desert. Walruses and meerkats lack this psychological flexibility. They are unlikely to work out how to survive an exchange of habitats. Hedonic normalization permits a human raised in the high Himalayas to find that environment normal. The same psychological mechanism that hedonically normalizes humans to Arctic and desert environments normalizes us to the very different technological environments of the 1st and 21st centuries. We can predict that it will normalize us to the technologies of the 23rd century. Differences in hedonic normalization mean that ancient Romans, 21st century New Yorkers, and 23rd century residents of Cairo view cars powered by internal combustion engines very differently. What for the Romans is a quite miraculous technology, is boringly familiar to the New Yorkers, and repellently primitive and polluting for the Cairenes. 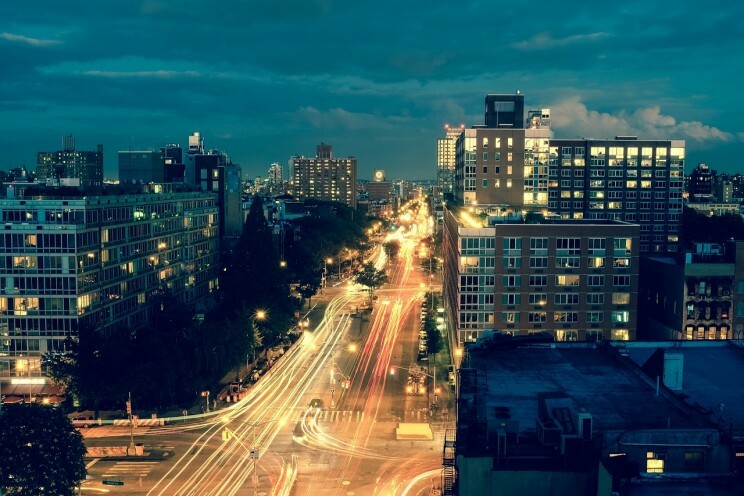 Image credit: “City Lights”, by Unsplash. Public Domain via Pixabay. When we overlook hedonic normalization we tend to significantly overstate the extent to which technological progress will boost the happiness of future people. I would be very happy to abruptly find myself on board a 23rd century starship. But this is not how people hedonically normalized to 23rd century will feel. The error of ignoring hedonic normalization is especially apparent when we think about the past. Techno-optimists point to the big differences that technological change has made to our world. Mary Beard’s description of the streets of ancient Pompeii covered in animal dung, rotting vegetables, human excrement and flies makes modern city dwellers glad to be alive now. But imagining how a time traveller from the early 21st century would feel to find herself marooned in Pompeii does not tell us how people hedonically normalized to that time felt. Doubtless the Pompeians would have preferred cleaner streets. But the filthiness of their streets did not affect them in the way that it would affect someone normalized to our comparatively refuse and excrement-free highways and byways. To see this more clearly consider how people from the 23rd century will feel about life in our times. The conditions of our cities are clearly not perfect – but they are not nearly as bad for us as they will seem to someone normalized to the cities that 23rd century technologies will build. New technologies can significantly boost the happiness of the members of the generation that first experiences them. However, hedonic normalization tends to erode many of these benefits. There is more at stake here than some unwarranted smugness about past lives and envy of future lives. A tendency to overvalue technological progress tends to make us reckless in its pursuit. In this era of climate change and nuclear arsenals capable of destroying the world many times over we are acutely aware of some of the perils of technological progress. When we overestimate the propensity of progress to boost well-being we are more likely to judge the risks of progress to be worth taking. Nicholas Agar is Reader in Philosophy at Victoria University. He has spent much of his academic career writing about ethical and philosophical issues that arise in connection with new technologies. 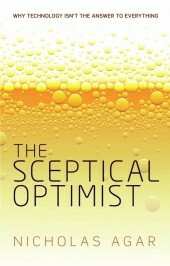 His new book is The Sceptical Optimist: Why technology isn't the answer to everything (OUP, 2015). How can you say “Doubtless the Pompeians would have preferred cleaner streets”, if you also assert that they were “hedonically normalised” to those streets? Where is the impetus to improve conditions, if you’re satisfied with those conditions? Being hedonically normalized to conditions doesn’t mean that you find them perfect. But it does mean that they don’t have the same depressive effect on your well-being that they would have on people not normalized to them. The point is not that technological progress doesn’t make things better – clearly it does – merely that when we overlook hedonic normalization we are inclined to overstate the degree to which it does.